As the 1960s drew to a close, Elektra Records looked to Detroit in an attempt to replicate the success it was having with its rock ‘n’ roll roster, particularly the Doors. One of Elektra’s signings was a group that took its named directly from the Motor City, the MC5. That association was cut short by the ramifications of the band using a certain four-letter word. At least the Stooges had the opportunity to cut one more album for Elektra than the MC5. 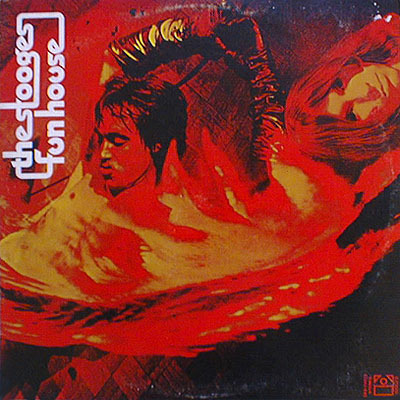 “Fun House” was the band’s second and final recording in its original incarnation of the late Ron Asheton on guitar, the late Dave Alexander on bass, Scott Asheton on drums and James Newell Osterberg on lead vocals. 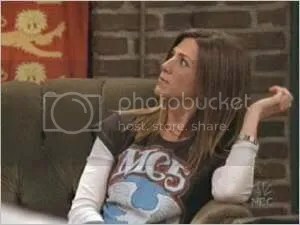 Actually, “Fun House” represents the point where Osterberg started using the stage name of Iggy Pop; he’d been labeled as Iggy Stooge on the band’s debut. By any name, he’d already become something of a legend for hist live performances, during which he went shirtless and often one-upped the antics of singers like Alice Cooper in the early stages of his career and the late Jim Morrison in his latter. The Stooges didn’t try to rein in the chaos of their concerts on their records, with Iggy’s snarling vocals, Ron’s buzz-saw guitar and the solid foundation of the rhythm section providing a bridge between ’60s psychedelia and ’70s heavy metal and paving the way for what became punk rock. Probably because it sounded unlike anything else at the time, “Fun House” sold poorly, as had its predecessor. Critics were prone to deride the Stooges’ relatively simple approach to song structure, and Iggy’s vocal stylings never resembled easy listening in any way, shape or form. The proceedings conclude with five minutes’ worth of “L.A. Blues,” which is an ironic title considering the song’s complete lack of structure: Iggy screams over a wall of sound, Ron Asheton’s guitar wailing away on one side and Mackay’s sax squawking on the other. I’m guessing the guys either were listening to a lot of Albert Ayler and late-period John Coltrane at the time, or some kind of “substances” may have been involved. Or both. “Fun House” hits its apex with “1970,” the LP’s first track on the second side, a song that sums up the Stooges’ whole package: “Out of my mind on Saturday night/1970 rollin’ in sight/Radio burnin’ up above/Beautiful baby, feed my love/All night till I blow away.” Throw in a killer riff, and “1970” should’ve been a hit. Well, at least Elektra tried to release it as a single. No one was buying. Lack of sales doomed the Stooges, as did various personal problems of the band members. A particularly high-profile fan, David Bowie, sort of brought everyone back together in 1973 – substituting James Williamson on guitar for Alexander, with Ron Asheton switching to bass – for “Raw Power,” the title of which says it all. But that was it for the Stooges, until a growing number of impact musicians started citing the group as a primary influence. Eventually the Stooges were recognized as ahead of their time instead of talent-deprived noisemakers, and for what it’s worth, the band wound up enshrined in the Rock and Roll Hall of Fame.